Zimbabwean international Kuda Mahachi will make a return to action when the ABSA Premiership season resumes. The league is currently on break due to international fixtures. 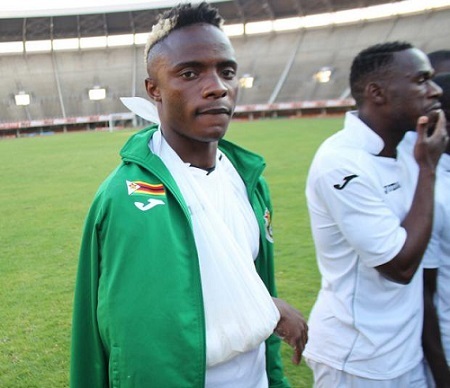 Mahachi was injured just before the Warriors final AFCON qualifier against Guinea after he fractured his arm and his been on the sidelines since then. 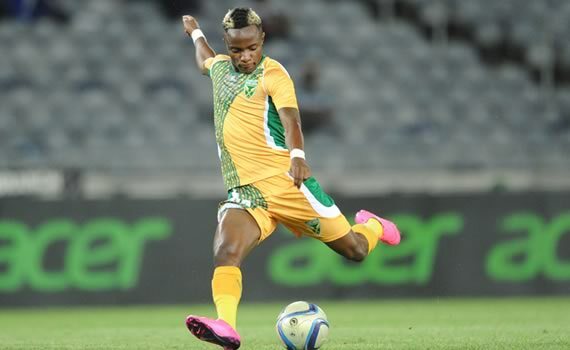 However the forward has recovered well and his return to action will be a major boost for Golden Arrows who have had a good start to the league season. Mahachi represented Golden Arrows at the Nedbank Cup draw yesterday where they will come up against Orlando Pirates in the first round. Reacting to the draw ,Mahachi said stopping countryman and former Chicken Inn teammate Tendai Ndoro will be key for them. “It is always those kind of matches for which you don’t need to be motivated because you know players are always up for it added Mahachi.